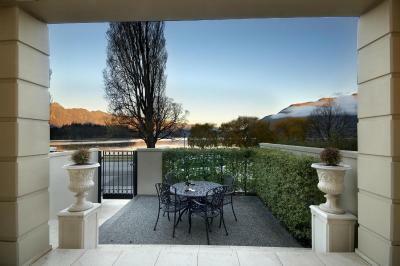 Offering studios and apartments, the 4-star Hurley's of Queenstown is a 5-minute walk from Queenstown's city centre. All apartments feature a spa bath and cooking facilities. Located alongside Lake Wakatipu in Queenstown Bay, these 3-bedroom luxury apartments offer stunning mountain and lake views. Just a 7-minute walk from the centre of Queenstown, each apartment has a fully equipped kitchen and satellite TV. 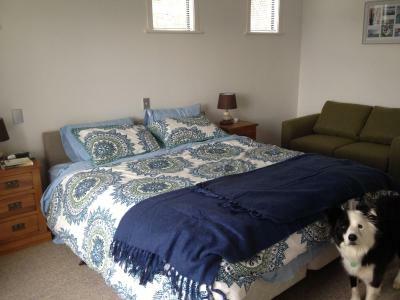 Featuring air conditioning, The Queenstown Bothy is located in Queenstown, 800 metres from Skyline Gondola and Luge. Shotover River is 900 metres from the property. Free WiFi is featured throughout the property. The boutique Chalet Queenstown Bed & Breakfast offers modern and stylish rooms with wonderful views and comfortable beds. Free Wi-Fi is included, along with a European-style breakfast each morning. Platinum Queenstown offers luxury accommodation with full kitchen facilities, private balconies, satellite TV and stunning lake views. Guests enjoy 2 GB of free Wi-Fi per day. This beautiful 4-bedroom house offers privacy and seclusion, yet is only 10 minutes’ drive from Queenstown. Features include an open-plan dining area and kitchen, gas fire, 3 bathrooms and free Wi-Fi. Opened on 14 June 2016, Ramada Queenstown boasts spectacular views to the Remarkables Mountains and across to Coronet Peak. Guests have access to a fitness centre and ski storage space. 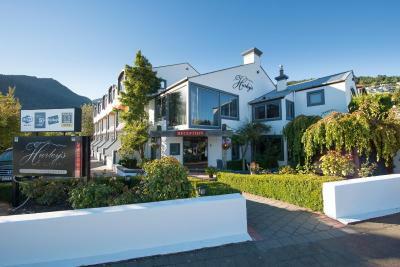 Located in the heart of Queenstown, Sofitel Queenstown Hotel and Spa offers accommodation with a blend of French luxury and art de vivre. Nomad's Queenstown Backpackers is ideally located in the heart of Queenstown, in New Zealand's popular South Island holiday city.